Glidewell's Vivaneers can make patient's dreams of smile makeovers a reality. Porcelain veneers are one of the most accepted smile enhancement techniques in dentistry. Using little to no preparation, Vivaneers are hand-waxed to shape the ideal contours. After waxing, the Vivaneer is invested and pressed with a high-strength ceramic ingot called Prismatik ThinPress, which is capable of pressing ceramic veneers as thin as 0.3 mm. Depending on shade requirements, Vivaneers allow for translucent or opaque shading with complete chairside shade flexibility. 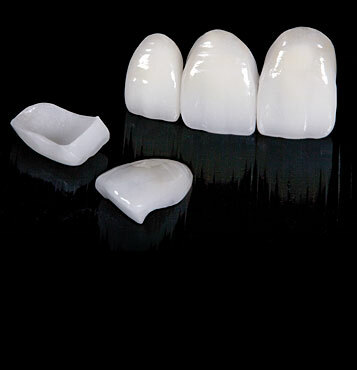 Because of its extra-high strength, Vivaneers can also be used for bonded full crowns.